The Spanish tennis player became number one in the world ranking and is considered the best tennis player in the history of his country with Manuel Santana and Sergi Bruguera. Manolo Orantes was formed in Barcelona, he was the heir and disciple of the career of Manuel Santana, with whom he played in the Davis Cup national team when he debuted and Santana was about to retire. At 18 years of age he was considered the best junior player in the world, thanks to his victories in the Orange Bowl in 1966 and in the Wimbledon Tournament of 1967 in that category. After the Davis Cup final in 1966, he started a brilliant career, which led him to number two in the standings in 1973. 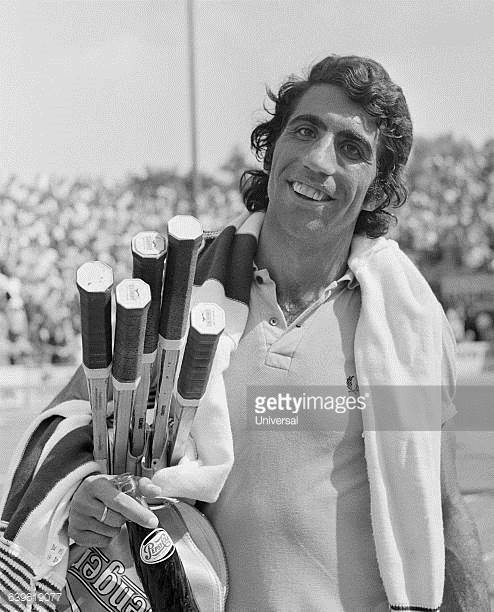 In 1975, Manolo Orantes won the US Open at the Forest Hills Courts with his iconic Slazenger Challenge nº 1 wooden racket. Following his trail, from Slazenger Heritage we wanted to create a vintage style to remember one of the greats of the world tennis, and make our jumpers a legend as Manolo Orantes did. The “Tennis Legend 1” in white and navy by Slazenger Heritage is a genuine heritage product made from soft cotton-blend yarn to create a unique garment. The clean construction of the sweater provides a look of distinction and a quality akin to handcrafted tailoring. The jumper features a Slazenger vintage logo knitted-intarsia at the front. 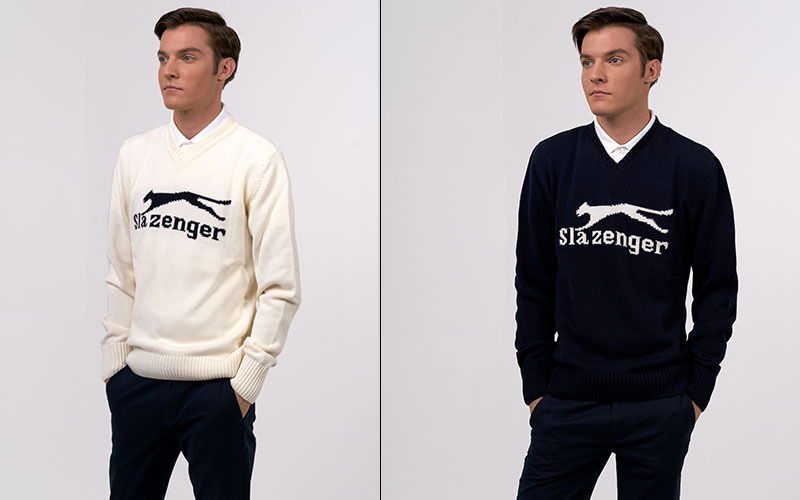 The Tennis legend jumpers’ series have been launched to celebrate the history between Slazenger and lawn tennis. Available in navy and white. V-neck collar and the Slazenger logo embroidered in gold. Double tipping in the collar and cuffs. Why do players have to wear white at Wimbledon?